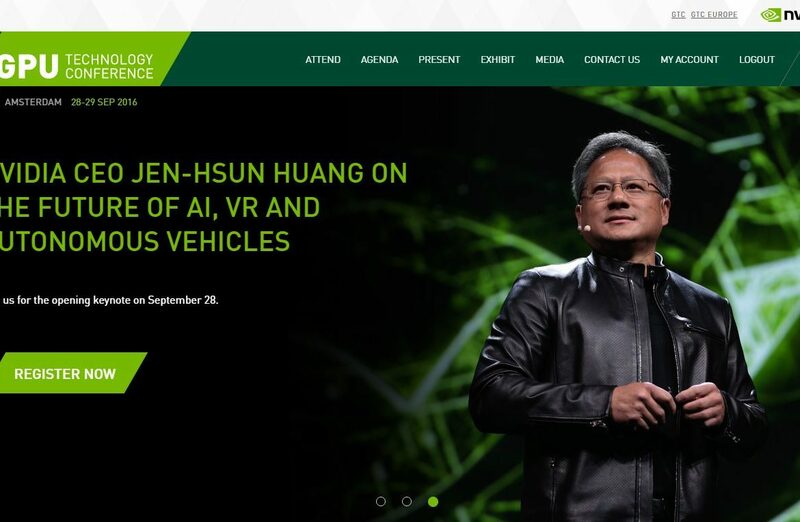 We’re glad to announce that we are participating in the upcoming GPU Technology Conference organized by Nvidia in Amsterdam, on September 28th and 29th. Come to our booth and experience how we apply Artificial Intelligence to Robotic Recycling: see videos of our smart waste sorting robots and talk to founder Eugenio Garnica and our technical team about the Deep Learning algorithms that can recognize recyclables in such a real complex environment as a waste stream. Nvidia is the world leader in visual computing, inventor of the GPU that serves as the visual cortex of modern computers enabling amazing creativity and discovery, and powering what were once science fiction inventions like artificial intelligence or autonomous cars. Sadako was awarded by Nvidia in the previous GPU Technology Conference held in San José (CA, USA) with the amazing prize of 100.000$ of the Early Stage Challenge. The GPU Technology Conference is the most forward-looking conference in the world today. It will bring together top technology leaders, entrepreneurs and decision makers from industry and academia, as well as start-ups and venture capitalists, offering visitors the chance to explore some of the technology mega-trends that will shape the World in the years to come. Visit us in the GPU Technology Conference, Amsterdam, Exhibitors Area, Booth E9.